Q. I recently had diverticulitis. I'd like to avoid a recurrence. Is there anything I can do to prevent this painful condition in the future? A. As people age, small pouches often form in the wall of the large intestine, a condition called diverticulosis. If food or bacteria become trapped in these pouches, they can become inflamed or infected, which is known as diverticulitis. Generally, people with diverticulitis have symptoms that include cramping, abdominal pain, and often a fever. 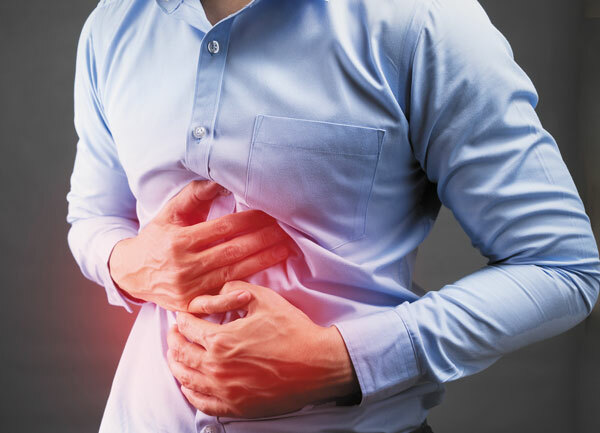 The condition is sometimes mistaken for appendicitis or ulcers. Your doctor may first try to treat diverticulitis with fluids and rest, and the infection will sometimes clear on its own. But in other instances, you might need antibiotics or even surgery. opting for a fiber-rich diet, which includes a lot of fruits and vegetables, whole grains, and legumes. Your doctor may also recommend that you take a fiber supplement. While these changes won't guarantee that diverticulitis won't recur, they can help reduce your risk. — by Hope Ricciotti, M.D., and Toni Golen, M.D.